Im sure all of us have heard the urban myth that simply by harnessing a small part of the Sahara desert Africa has the potential to supply the whole world’s electricity demand.. it is in fact true. The concept of using deserts as a kind of global solar power plant was first proposed by Dr Gerhard Knies, a particle physicist who began investigating potential clean energy supplies following the Chernobyl nuclear accident in 1986. He arrived at the following remarkable statistic: in just six hours, the world’s deserts receive more energy from the sun than humankind consumes in a year. Deserts are by their nature remote, forbidding places but the practicalities of installing photovoltaic (PV) panels and using thousands of kilometres of high voltage DC cable to transmit the electricity are, thanks to modern technological advancements, all theoretically feasible. Indeed, it remains a serious proposition, with the well funded Desertec Foundation committed to harnessing sustainable power from sites where renewable sources of energy are more abundant (like deserts) and transferring it through high voltage DC transmission to consumption centres. But doesnt it all sound like the kind of thing a James Bond villain might get up to? Whilst global energy use has probably doubled since Dr Knies did his initial calculations, his point remains that deserts do still offer a massive untapped resource of carbon neutral electricity – but then again, so does the African continent at large. 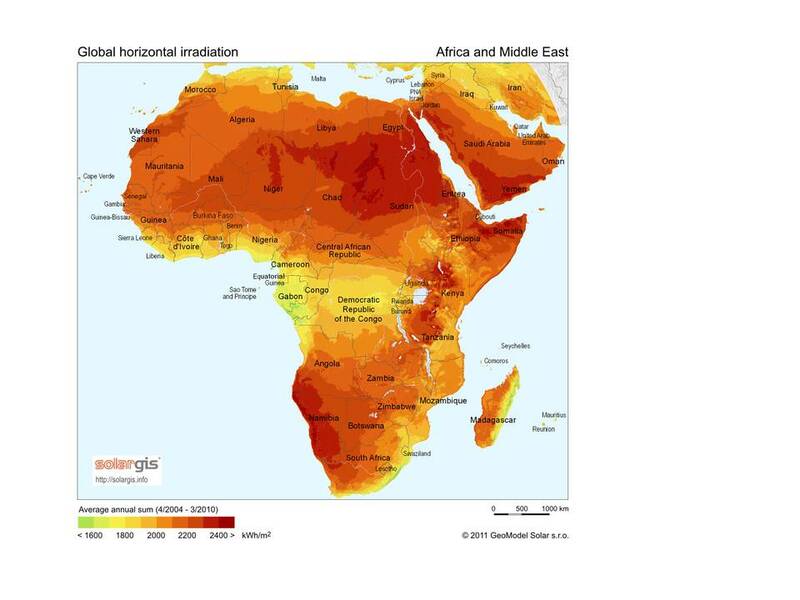 Africa has one of the highest solar irradiation levels in the world but there is a slight hitch – two thirds of the continent are not grid connected. Under this scenario, home-grown power from the likes of the Sahara, Kalahari and Namib deserts as envisioned by the Desertec Foundation would be unavailable to the majority of the continent producing it, which hardly seems fair. Fortunately, there is a way for non grid-connected communities to benefit from the immense solar resources of the African continent and access sustainable energy to make small yet significant changes in livelihoods. Solar Kerosene Replacement Lamps, domestic PV panels, school and community PV panels, PV vaccine refrigerators, village level solar ‘kiosks’ – all of which offer decentralised, largely maintenance free sources of energy which is something co2balance has long been committed to exploring in its projects. Its a fact that in Africa, PV panels will either replace expensive, polluting fossil fuels in peoples homes (kerosene), noisy and expensive diesel generators (communities) or in most cases supply a clean source of energy where previously there was none. We have already seen what the mobile phone has done in Africa and the innovation that has flourished in the wake of its meteoric rise (phone based finanicial services like MPESA offering banking to the traditionally ‘unbankable’, flows of information through social media etc). The continent is now on track to reach 1 Billion mobile phone subscriptions by 2015; lets hope universal access to solar electricity on this sunniest of continents mirrors this stellar rise – who knows what innovations may follow? Co2balance realizes the pain most communities undergo in Kenya in accessing clean and safe water especially in the dry areas. As a result last month Co2balance started discussions with the County government of Machakos to find ways how to work together and solve this menace. 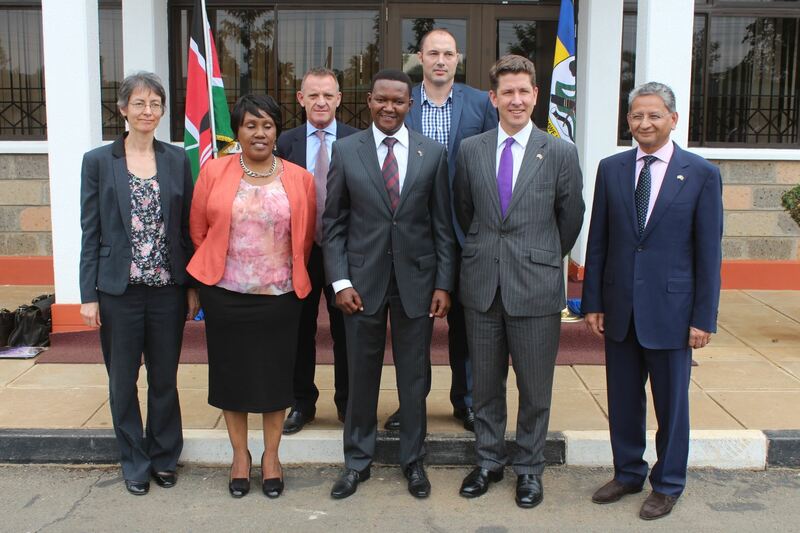 Machakos County is one of the 47 counties in Kenya. Its capital is Machakos town. The local climate is semi arid with hilly terrain with an altitude of 1000 to 1600 meters above sea level. Tourist related activities such as Camping, hiking safaris, ecotourism and cultural tourism, dance and music festivals among many more are more excitingly done due to the hilly terrain. The County experiences erratic and unpredictable rains of less than 500mm annually, with short rains in October through to December and the long rains in late March to May. Currently Machakos County is exploring carbon finance as a possible alternative revenue stream for funding its borehole community projects as well as sustaining the operation of these projects. Recently Co2balance led by the Kenya Country Director Paul Keir, travelled to the county to meet with the County Governor and other stakeholders. The goal was to gain an understanding of their current initiatives as well as identifying ways carbon finance could be generated. At this stage its worth mentioning that water projects reduce carbon emissions by introducing a new ‘zero emissions technology’ that provides safe water in the project scenario; examples include a hand pumped borehole (as opposed to powered by a diesel generator) or a household water filter. As people don’t already have access to a supply of safe water in the county many have to boil unsafe water on traditional stoves to purify it. By providing this zero emissions technology to people who do not have access to a supply of safe drinking water the project will reduce the emissions created from boiling water for drinking thus safeguard the environment and curb climate change. 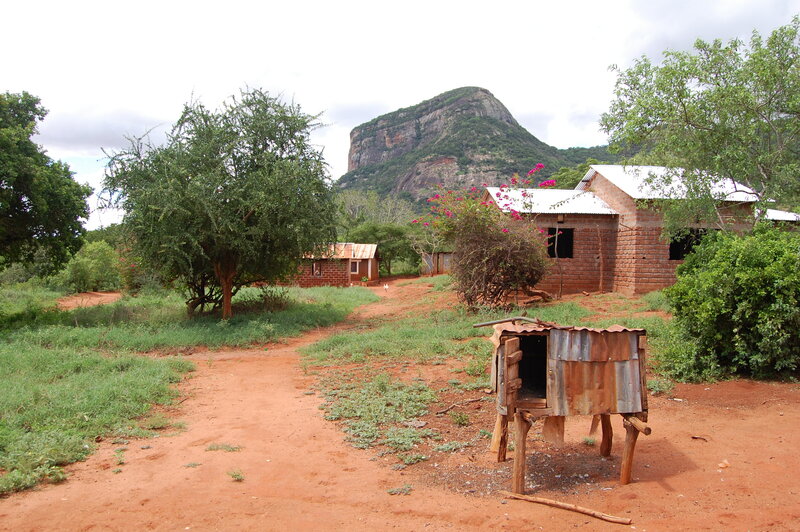 Many existing boreholes in the county owned by community groups have fallen into disrepair because maintenance programmes have been poorly managed and or prove too expensive. In this instance Co2balance will work with Machakos County to identify broken down boreholes and rehabilitate them so that they deliver clean and safe water. The main goal for the collaboration will be to ensure that the quality of the water delivered by the boreholes is fit for human consumption. I once asked a farmer what his major challenges were. His response was that he was finding it hard to adapt to the new weather patterns, his second was finding market for his produce at the right price. This was in the Teso region of Eastern Uganda, a region once known for cattle rearing but which is now the go-to place for citrus fruits.. For the first challenge, the farmer was satisfied that they had come together and agreed to have their fruits sold at a central administrative office and no middleman would be able to buy from them unless they had approval from the local administration. This generally gave them the advantage in price terms and they were pretty satisfied with their labor. in addition he remarked, they would be able to sell off their fruits to a fruit processing factory that would be constructed at a site 15 minutes from his village. He was satisfied with his living. His last child was about to graduate from university and his labour on his citrus plantation, was all not in vain. he had in fact sponsored his child through selling Washington variety oranges.This was all good , however, Teso is in the part of Uganda that receives one long rainy season, traditionally, that is. The staple foods produced are mainly dry region crops like millet from which millet bread or atapa, kwen, karo, kwon, or kaalo (depending on which region you come from) is produced. These would not do well with extended rains and despite the successes with citrus farming, it would have a big impact on food security. The meteorological department is working with other stakeholders to have accurate predictions that would enable the farmers adapt to the changes. It is early days but the effort is tangible. Climate change to everyone in Uganda is real. Early this year as the United States was receiving record snowstorms, we were facing unprecedented heat and a significant dry spell. 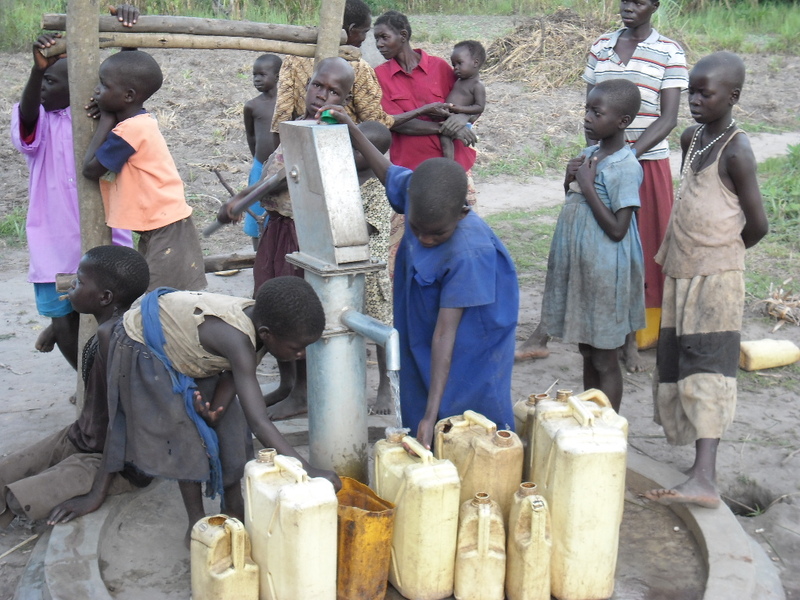 Food shortages were expected and in some parts drought was already affecting the population. However, three months on, we are receiving welcome rains and for the farmers, their hope is that it stops at the right time so they can be set to reap. In some areas the rain is unrelenting but crops are getting ready for the harvest. My ultimate favorite part of climate change through is that at this point in time, it offers us the opportunity to do things right. From the most basic yet necessary mechanisms like the use of improved cookstoves instead of 3-stone fires, I like the fact that there is an incentive for us the make the right choices. It should go without saying that instead of burning fossil fuel for 1MW of power in Africa, we should be taking advantage of the opportunities at hand to propone renewable energy with the incentives and subsidies at hand. The ideal is romantic and gives us all a good feel however the reality points to the fact that we need to work at being better because there is always going to be a “way we have always done things”. The hold of the past is often a challenge because over time it has developed into the norm, the comfort zone. For my farmer friend, this was a luxury he was no longer able to afford. He explained to me his third challenge, the severe shortage of firewood in his village. His environs had been depleted of firewood and in order to collect some, his family had to move a very long distance. He had to adapt a new way of doing things. His lifestyle and that of his family had to evolve. In many ways we all have to evolve, people and systems adapt to the times. The world is constantly moving and we have to find ways of “catching up”. Talking to that man , it was possible to make a friend and move on but it spurred me to get involved more and the images i saw of the firewood depletion are images I have carried from time to time. Almost 4 years later, I still meet more people whose challenges are ever more evident, but when we see the solutions bear fruit, it is always a spur to take on the next. 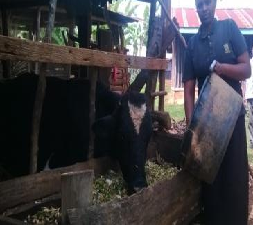 Mary Mbaka a mother of three lives in Kiangondu village, Chuka Division, Meru South, Kenya. Co2balance has in this case added value to the lives of Meru South people in their livelihoods and contributed to environmental resilience in this Region. 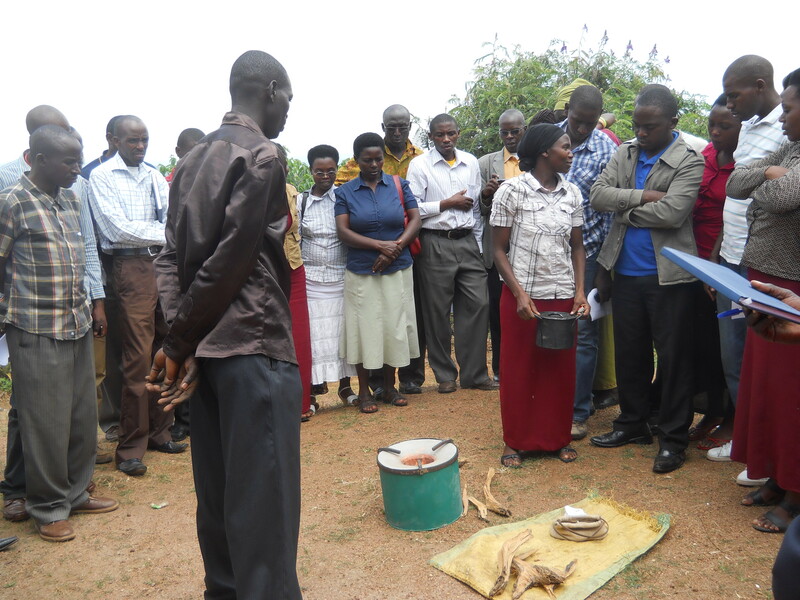 After weeks of rigorous review of the Gold Standard, the second issuance of voluntary emission reductions (VERs) for the Shimba Hills Improved Cookstove Project has now been finally approved. We are grateful for our colleagues in the Kenya office as well as the verification team from Carbon Check for facilitating our work throughout the review. This successful closure on the issuance review reinforces our effort to continue our work in the beautiful Shimba Hills. 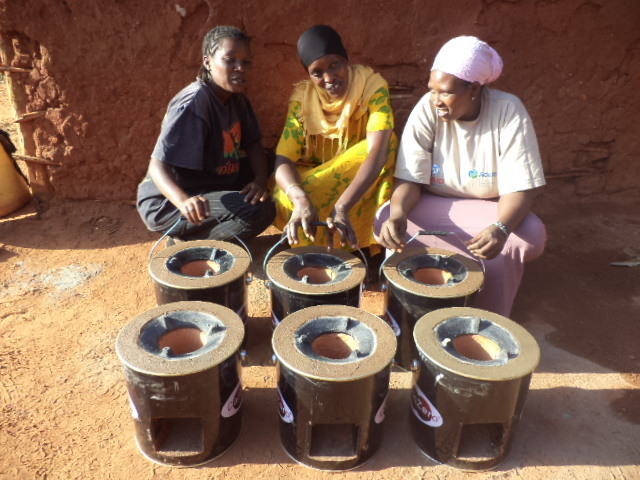 Carbon Zero Kenya has recently been awarded a grant from the Australian High Commission in Nairobi to implement a Women’s Improved Cook Stove Project in West Kisumu, Kenya. In addition to creating a self sustaining micro business run by women, the project aims to address the negative social, environmental and economic impacts resulting from the widespread use of three stone fires through the distribution of approximately 900 fuel efficient cook stoves to families at a highly subsidized cost. This will provide a means for the most vulnerable community members that would otherwise be unable to afford the stoves to benefit from the project. The stoves will help reduce pressure on local fuel supplies and eliminate indoor pollutants, leading to an improved standard of living and a cleaner, easier and healthier way of cooking. They will also be included under the CO2balance West Kisumu Gold Standard cookstove project thereby raising additional carbon finance which will be channeled back to the communities allowing for the future subsidization of stoves in West Kisumu.Further updates will follow shortly.